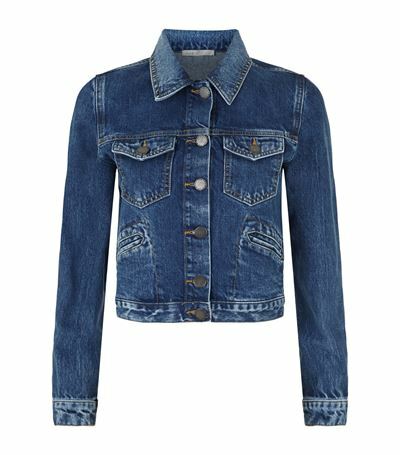 Styled for an Americana aesthetic, the Maje Viva denim jacket comes in true blue denim with a dose of natural fading and contrast orange topstitching. Finished with streamlined jet pockets at the waist, the jacket is cropped for a feminine twist. Style with white jeans for a fresh summer look. 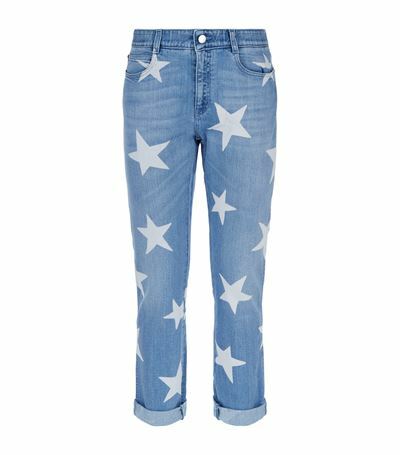 A skinny update on the popular boyfriend fit, these cotton stretch jeans by Stella McCartney offer a low-rise and ankle grazing rolled hems. Adorned with an all-over star print, this statement design is ideal for weekend wear with a plain tee and sneakers. Adopt a touch of glamour in your shoe repertoire with Gianvito Rossis statement Calabria court. 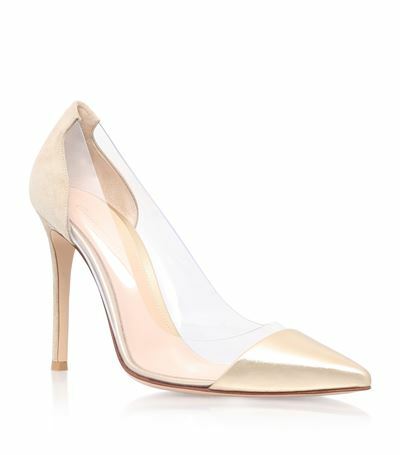 Boasting a sleek panelled design, the body of the shoe is crafted in clear plastic and is framed by a sharp pointed leather toe and a contrast heel. Perfect when paired with party dresses or smart tailoring, these chic heels can be dressed up or down with ease. 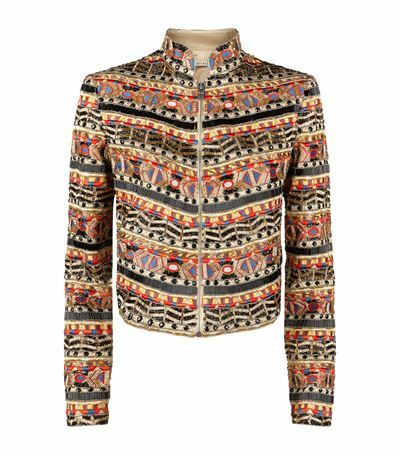 Intricately decorated with colourful beads and embroidery, Alice + Olivia’s Mikayla jacket is the wardrobe stunner we’ve all been waiting for. 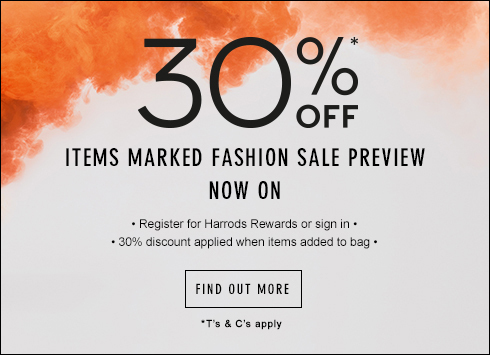 Cut for a boxy fit with a mandarin collar, this statement piece will instantly lift simple separates.